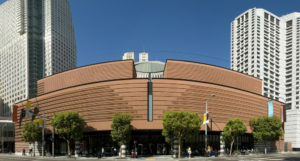 Panorama picture taken at the San Francisco Museum of Modern Art (SFMOMA). While the future of the National Endowment for the Arts may be in jeopardy, the exhibits it has helped fund continue to draw huge crowds at SFMOMA. Currently, the Matisse/Diebenkorn show is a particular favorite. High attendance numbers and individual donors may be the key to keeping exhibits like this one alive in a time of financial uncertainty. Much of the funding for Matisse/Diebenkorn comes from a record number of donors, lenders, and collectors, including investment banking legend Thom Weisel and the Evelyn and Walter Haas Jr. Fund. “In SFMOMA’s 82-year history, I don’t think we’ve ever had an exhibition that boasts 32 sponsors,” said SFMOMA Director Neal Benezra in a Director’s Circle conversation with exhibit co-curator Janet Bishop. The exhibit highlights the connection between Henri Matisse and Richard Diebenkorn, two of the 20th century’s greatest colorists. As a young art student in San Francisco, Diebenkorn became enamored of the Matisse pieces shown at SFMOMA, which had a huge influence on Diebenkorn’s art throughout his career. The SFMOMA exhibit includes 100 paintings and drawings—40 by Matisse and 60 by Diebenkorn—showing the connection between their subjects, style, color, and techniques. It’s the result of a collaboration between SFMOMA and the Baltimore Museum of Art, where the exhibit was first shown last year. 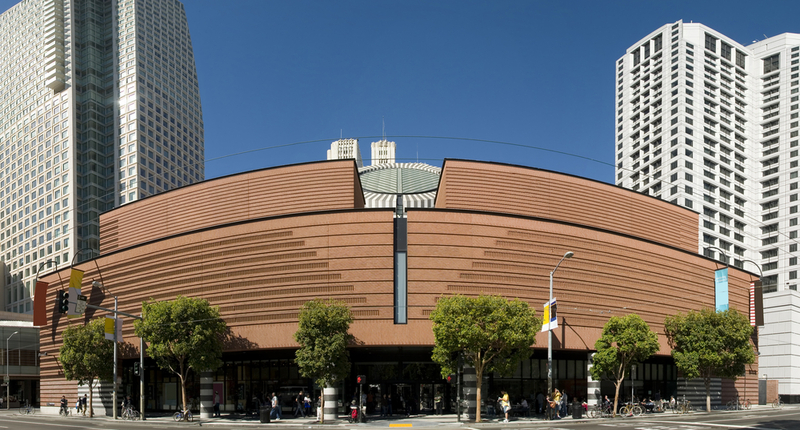 SFMOMA will be the exhibit’s only West Coast stop. Matisse/Diebenkorn runs at SFMOMA from March 11 to May 29.